Nationwide is the world’s largest building society and a top-three provider of mortgages in the UK. We understand the challenges that first time buyers face and we’re committed to helping them take their first step on to the property ladder. 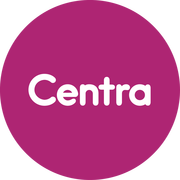 Centra Living (formerly Circle Living) is an experienced multi-skilled service provider. It is part of Circle – one of the leading providers of affordable housing in the UK, which manages more than 60,000 homes. We’re a dynamic and innovative company with expertise in a broad range of property activities and services. We’re commercially-minded and customer-orientated, focusing on service delivery and practical and efficient solutions. Our award-winning in-house teams offer regional and local, tailor-made services at competitive rates. Taking the time to check, understand and improve your credit report before you apply for a mortgage could mean lower interest rates and more money in your pocket each month. Experian are the UK’s No.1 credit monitoring service and with a FREE 30-day trial of Experian Credit Expert, you’ll get access to your credit report and expert credit management advice from our UK-based team – meaning you can apply for that mortgage with confidence. Aldwyck Housing Group is the government appointed Help to Buy Agent for Equity Loans in London. We work with house builders who are registered for Help to Buy Equity Loans in London. Equity loans are up to 20% of the property value; for full information on equity loans please visit the website. Viridian Housing is a charitable association founded in 1945 . We own more than 16,000, in the Midlands, West Sussex and London. Our Mission is to provide high quality, good value housing for mixed income communities. Our vision is: Quality homes for you to make the most of your life. Affinity Sutton is one of the largest housing providers in the country, with a range of homes for the first time buyer and a choice of ways to buy. We offer homes for sale with shared ownership or with equity loans. These homes are available to buy with just a 5% deposit thanks to our arrangements with high street lenders. Acting for First Time Buyers is over 80% of what we do. We have been offering an excellent service for over 25 years and, in 2013, we completed over 2200 First Time Buyer transactions. Our service is proven with 94% of our clients saying they would recommend us to others. propertychecklists.co.uk is a new property advice website to help consumers carry out property projects successfully. People need to follow key steps, including research and planning, and how to find reputable national and local companies. Property Checklists provides them with this information completely free of charge. Consumers sign up online, choose a free property magazine to be sent to their home and secure instant access to hundreds of checklists, each of which give them a list of 10-20 essential to-do’s. Homematch is a service from Metropolitan's home ownership team. Metropolitan is one of London's largest housing associations. We provide the Homematch service to help Londoners find affordable homes to own and rent from partner housing providers including Housing Associations, Local Authorities and private developers. We understand how important a decision getting the right mortgage is. It’s not just about taking out a sizeable loan; it’s about getting the right deal for your money and making proper arrangements for your future. Our professional advisers specialise in finding the right, affordable mortgages and protection plans for thousands of people across the UK every year. So, why not come along and see us? We feel sure you'll be glad you did. Southern Home Ownership offer a variety of different developments, ranging from traditional family homes in the countryside to vibrant city apartments. All our homes are offered on a shared ownership basis and provide exciting opportunities for first time buyers, in London and the South East. First Time Buyer magazine’s Best Law Firm for Conveyancing in 2013, 2014 and 2015, Beaumont Legal helps thousands of first time buyers get on the property ladder each year. While the firm can trace its history back for 200 years, modern customers are tempted to Beaumont Legal by the ability to follow their case online and via e-mail. Based in Yorkshire, the firm is able to keep its prices competitive for customers nationwide. Beaumont Legal will be offering visitors to the FTB show free legal advice and discounts off their conveyancing, which is well worth taking advantage of. Here at Site Sales, we have specialised in the marketing and selling of luxury new build properties across London and the south east for over 20 years. Our experienced team work closely with many housing associations and private developers to offer a friendly and efficient service to any first time buyer wishing to get onto the property ladder. At Genesis, we believe in building communities, not just places. We’re a leader in providing shared ownership properties and offer help to buy at many of our developments. We have properties in great locations all across London and Eastern England, so take the smarter way to home ownership and call us today. People from all walks of life have taken the first step onto the housing ladder because of one of our homes – something we’re proud to be a part of. At PLFS we know the massive costs involved with buying a home and we want to help first time buyers reduce the upfront costs through a new exciting service. At the First Time Buyer Show on 10th October we are proud to be launching our new Rent to Buy service, for more details on how we can make this work for you visit our stand and our staff will delighted to help. Pocket are a new type of property developer. Our well-designed, local and affordable apartments are for the millions of young, middle-earning Londoners who contribute to their city in so many ways but can't afford to buy their first home. We call them city makers and our homes are designed for them. The exciting thing about Pocket homes is that they're at least 20% cheaper than the surrounding market rate. They're the perfect starter home for a first-time buyer. facilities and services such as two roof gardens, members club lounge, a BBQ area, table tennis, Brompton bike hire and a concierge service for residents. TMP Sherwins Ltd are specialist affordable housing mortgage and protection brokers. We have specialised in providing mortgage and protection solutions in the affordable housing mortgage and protection sector for over 10 years. Throughout that time we have developed partnerships with a number of Housing Associations across the country, whom we are proud to work in partnership with. Our processes are specifically designed for the needs of the affordable housing market. Prince Evans is proud to have one of the largest Affordable Home Ownership conveyancing teams in London; led by award winning Partners specialising in Social Housing.. The team benefits from a number of professional and friendly staff all of whom are extremely experienced and well versed in helping First Time Buyers take their first steps onto the property ladder. Prince Evans is on the panel for several Housing Associations evidencing our long standing commitment to affordable home ownership and consistency in delivering excellent customer service at competitive prices. 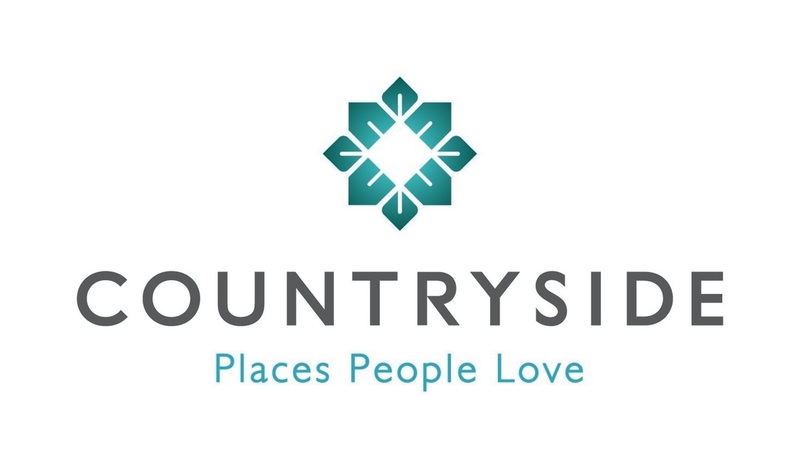 Winner of First Time Buyer magazine’s Private Developer of the Year, Countryside prides itself on helping buyers to get on the property ladder. Available with Help to Buy and Countryside’s own Bank of Mum and Dad scheme, the company offers a great range of new homes complete with a high specification across London and the South East. East Thames is a registered housing provider and social regeneration charity with more than 14,000 homes. But we're more than just a landlord - we also build new homes, provide care and support services and offer employment, training and community programmes. Our mission is ‘to make a positive and lasting contribution to the neighbourhoods in which we work’. Notting Hill Housing is one of London’s largest housing associations, offering affordable housing across the capital and the South East. With over 50 years of experience and a portfolio of over 5,000 Shared Ownership homes, we are proud to offer Londoners a chance to get on to the property ladder and become homeowners. PLS are a national law firm, with offices in Manchester and London, specialising in conveyancing, property, secured lending and property litigation. We are on the panels of all major banks and are preferred solicitors for large UK developers and estate agencies. We also act for bridging companies. Our conveyancers are qualified solicitors and experts working in small dedicated teams, supported by experienced assistants all using our highly efficient and innovative systems. We are CQS accredited and members of the Conveyancing Association. Founded by American banker and philanthropist George Peabody in 1862, Peabody is one of the oldest and largest housing providers in London. Now, over 150 years later, Peabody own and manage more than 27,000 homes across the capital, housing around 80,000 residents with a progressive development pipeline of 8,000 homes. The profits generated from the sale of private new homes are reinvested into providing more affordable homes and building thriving communities across the capital. FABRICA is part of an award-wining property business, building thoughtfully designed homes in carefully considered locations. From high density urban developments to smaller rural schemes, every project reflects our dedication to high-quality, sustainable living and exceptional customer service. FABRICA is backed by one of the largest developers in the UK, the A2Dominion Group. With over 70 years’ experience and a unique approach to housebuilding, all profits made are invested into projects which benefit communities and create better ways to live. Lawcomm solicitors was established in 1999 and has offices in London and on the south coast. We offer a nationwide conveyancing service and have a dedicated specialist department for new build and affordable housing properties. Our experienced team is widely renowned for providing an efficient and cost effective service whilst maintaining a considerate and understanding approach to the needs of our clients. We give you impartial mortgage advice when buying your first home. We're here to take the hassle out of the research process to make sure all goes smoothly. You’ll have your own dedicated mortgage adviser and caseworker - they'll help you every step of the way, from when you start dreaming about your new home, to picking up the keys. Our advisers don't work for commission, so when we recommend a mortgage there's no hidden agenda. We'll search whole of market deals and tell you if you'd be better going direct to a lender. We're owned by the consumer champion Which? Group, who have been giving independent advice and campaigning on behalf of consumers for more than 50 years. Moat is a charitable housing association with over forty years experience in providing thousands of homes, including shared ownership. Most of Moat’s shared ownership homes are located in Essex, Kent, Sussex, South East and South West London. Otherwise known as part buy part rent, shared ownership is one of the most affordable home ownership options available, and Moat want to help you find your dream home. At Your Move we focus on being the most genuinely helpful agent. We recognise that moving can be a daunting and emotional time and we work with all our customers – especially first time buyers – to tailor a journey to suit their needs. With nearly 300 branches nationwide from Dingwall to Penzance, phone lines are open from 9am until 9pm and the UK’s most visited estate agency website, customers always have access to our services. as financial services and conveyancing. Catalyst Housing provides high-quality, affordable homes across London and the South East of England. We offer a range of opportunities that help ordinary people onto the property ladder. With over 50 years of building expertise, Fairview New Homes builds apartments and houses in London and the South East. The company, which was named among the top 25 housebuilders nationwide last year, prides itself on helping buyers achieve their aspirations of finding a quality, attainable home to call their own. Buyers can purchase their own Fairview home, up to a value of £600,000, with a deposit of 5% using Help to Buy. We design, build and sell large, complex residential-led developments tailored to the needs of our customers. Linden Homes is an award winning house builder with a reputation for quality, we are industry experts in delivering distinctive and diverse new homes in prime locations throughout the UK. We strive to create sustainable new developments that inspire modern living and set new benchmarks in design and we’re dedicated to building the right homes for our customers. Our range of incentives can help first time buyers get on the property ladder and with over 3000 homes in over 130 locations we pride ourselves on offering the best homes for our customers.